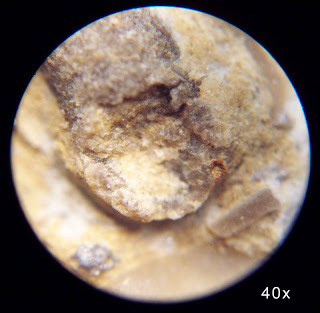 This rock plate was found in Carroll County, Kentucky in the Kope Formation. 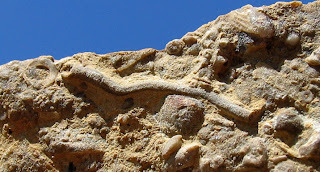 It has a 3 cm long tube like fossil that I cannot identify. 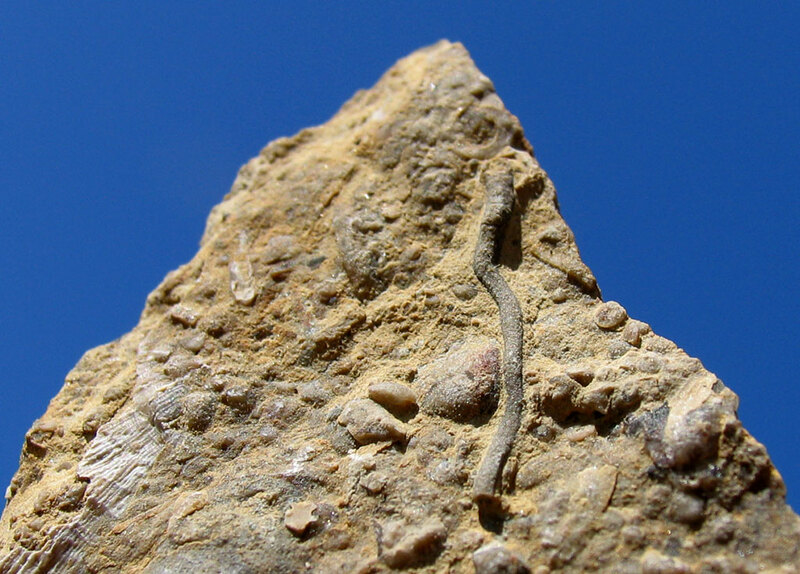 The fossils in the rock date to the Ordovician Period. 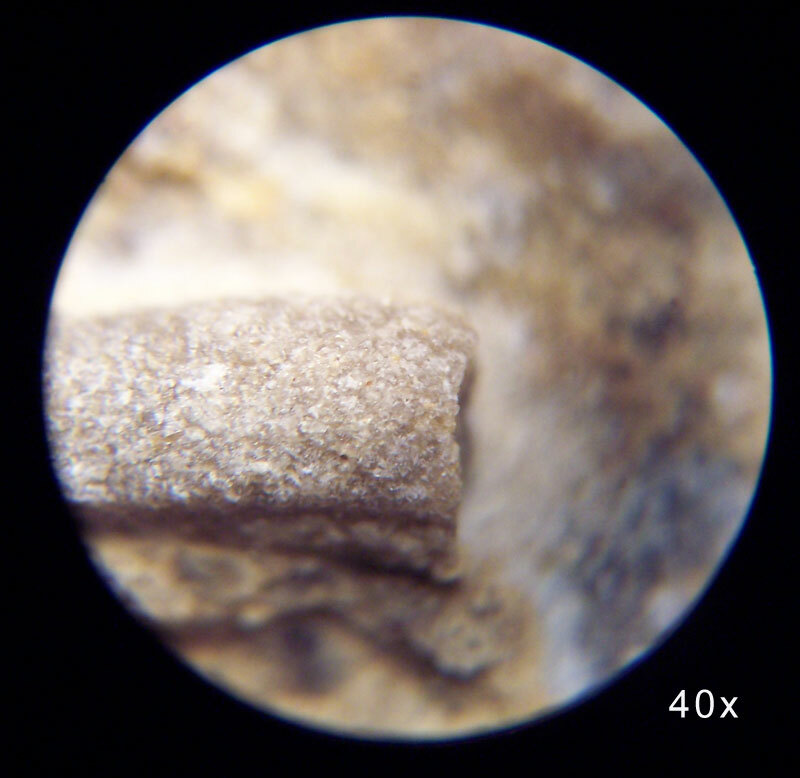 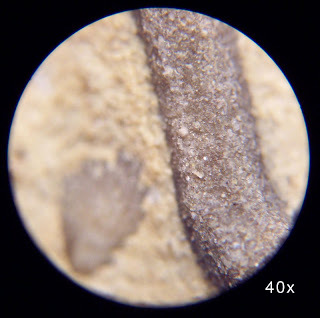 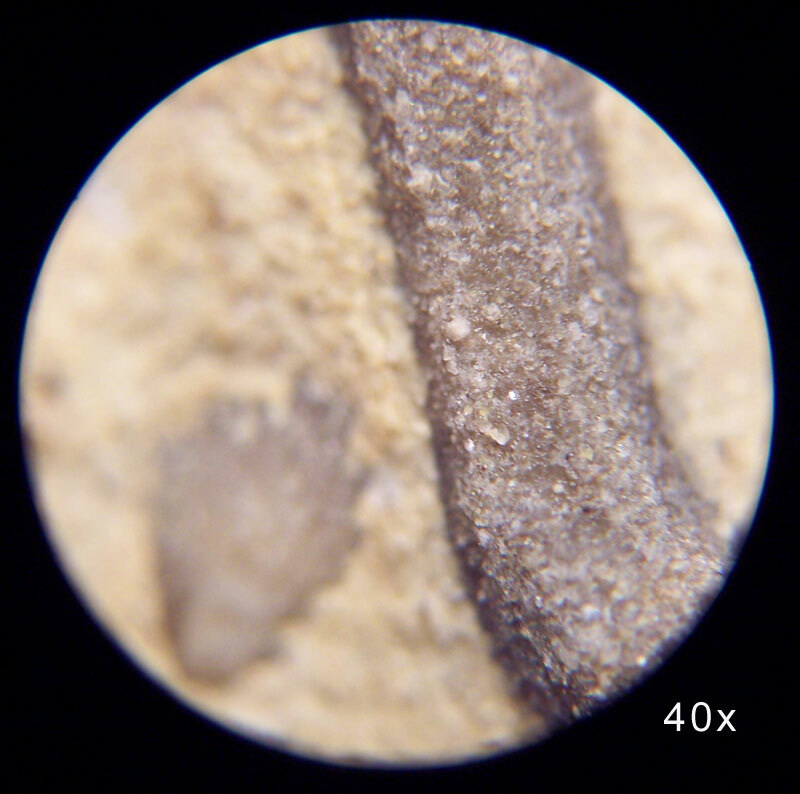 Magnified 40x using microscope of both ends of the trace fossil and a sample shot of the mid-section.